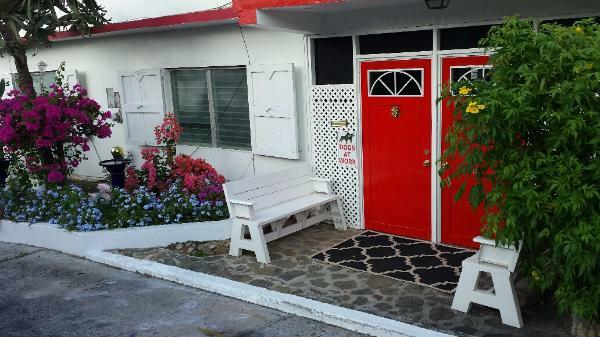 Red Front Doors. Check in here. Use “Gold Grape Cluster Knockers” to alert me. 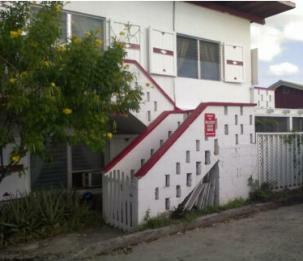 Stairs to top floor suites: Front, Caribbean Ocean View, Tropical Garden and Sunset. 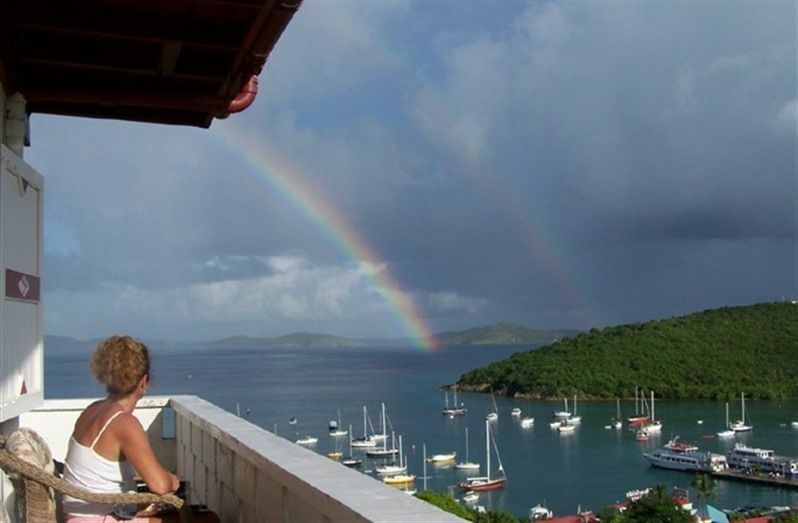 are located on the top floor and have fantastic views of the ocean and Cruz Bay harbor. The Peaceful Retreat is located on the ground floor. The Orchid Suite is located on the second floor.